We're serious about cleaning. So we only supply the best washers in the industry. 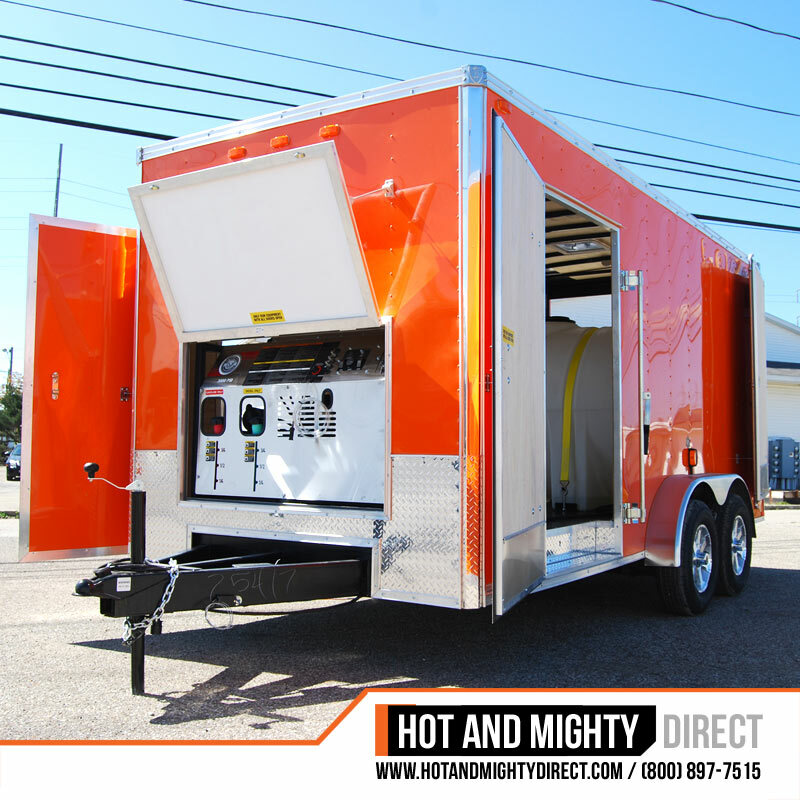 We stock a full line of gas and diesel powered pressure washers and water blasters running 2,000 to 10,000 PSI hot water machines. 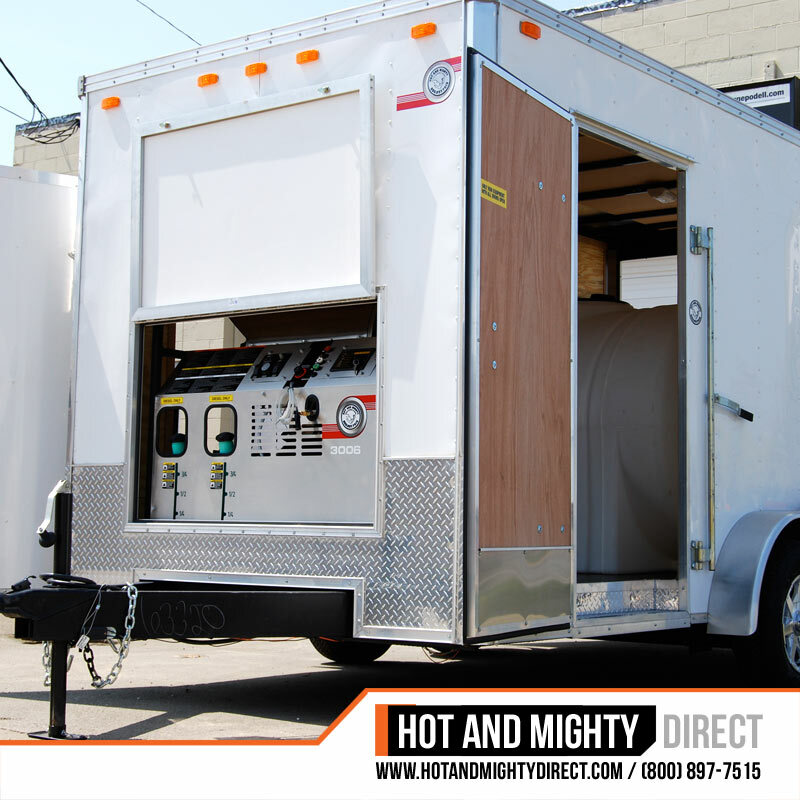 We fully customize any trailer/machine combination with a wide range of trailer and machine options. 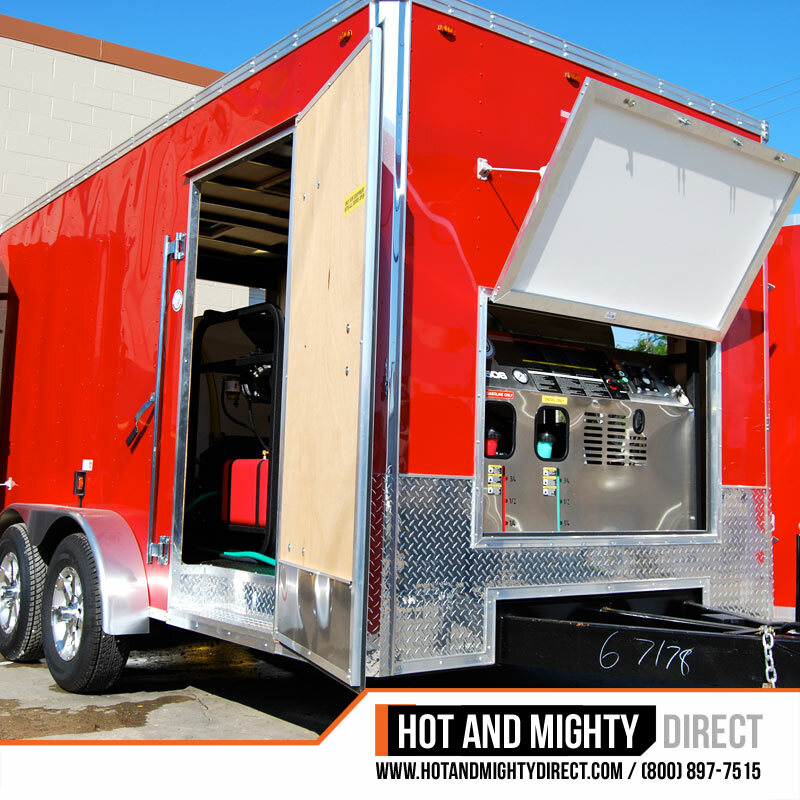 Our Hot And Mighty pressure washers are unmatched when compared to other industry units. We pride ourselves on our comprehensive service, quality know-how and extensive industry cleaning knowledge. 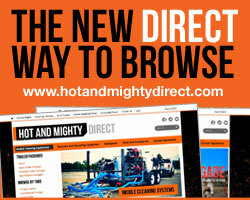 Industrial cleaning contractors for over 30 years, Hot And Mighty is ready to answer any questions. Give us a call for a complete equipment consultation and a free no obligation freight quote. Cleaning power for residential cleaning to industrial water blasting. Our focus is to fit your operation with the proper cleaning equipment to exceed your cleaning requirements. 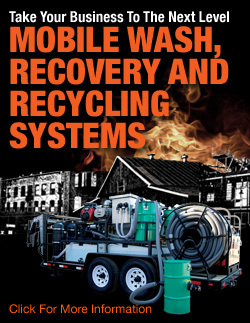 Offering dual operation for units 5 GPM or higher our mobile cleaning systems are built around you. We offer finiancing and delivery to your door. 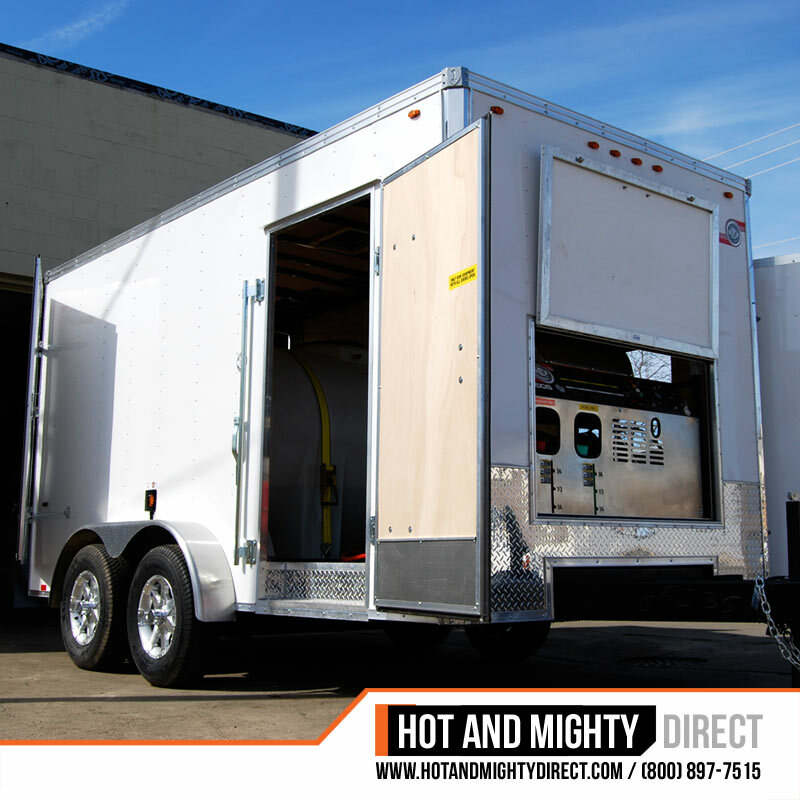 Training for your new mobile cleaning system can take place at our facility by our experienced pressure washer technicians or online through our extensive online video knowledge base.